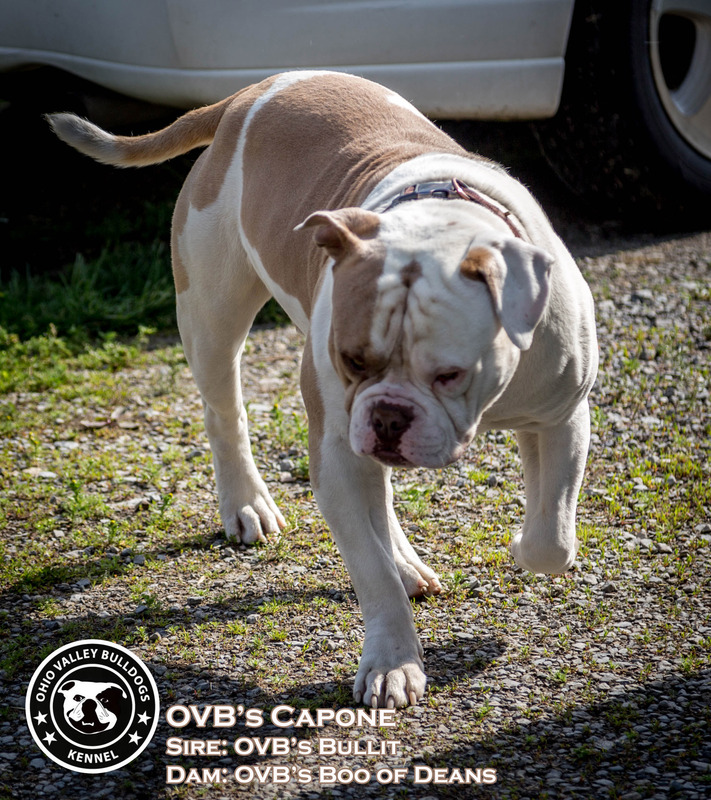 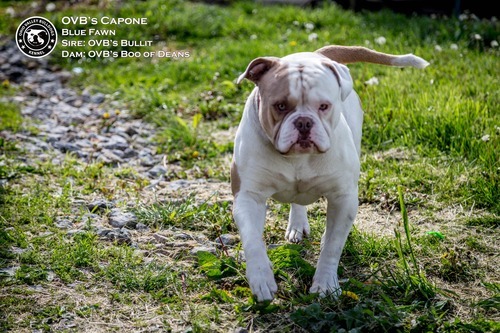 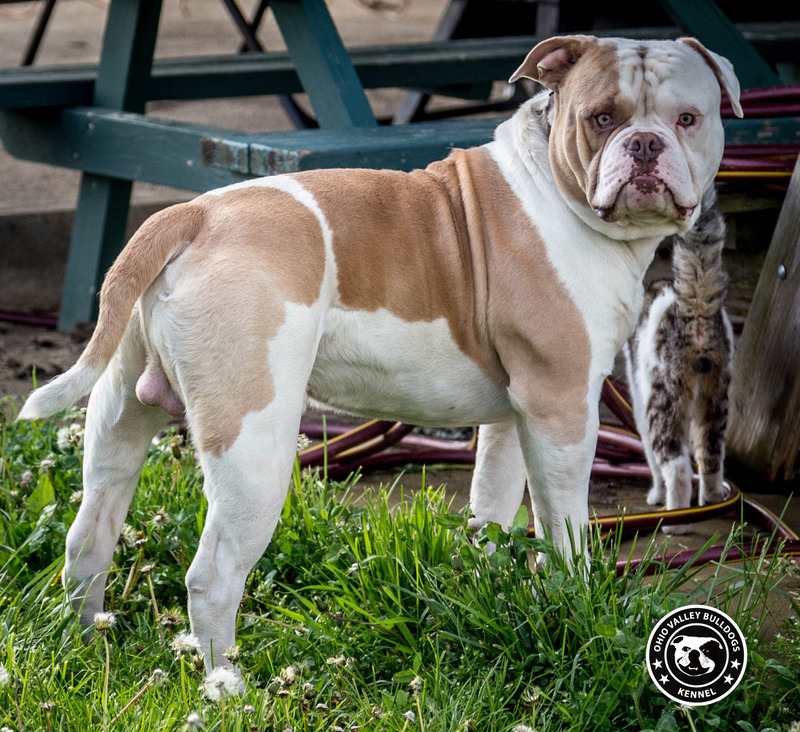 OVB's Capone is the first DNA'd american Bulldogs to be color tested with these results, d/d and b/b which makes him the first american bulldog Male is history to be a true Lilac. 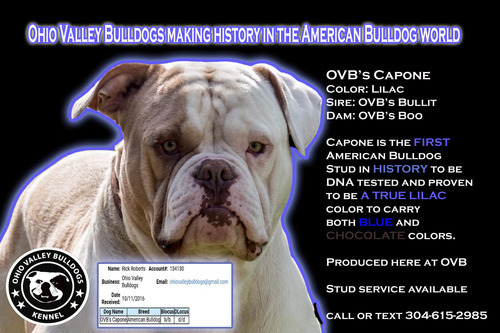 This is very rare, he is one of a kind, No other male american Bulldog has come back with these DNA results. Some have tested for it but did not come back with these results, some thingk they may have Lilac but no one has proven to be so until now. Capone is ONE OF A KIND. He was produced here at Ohio Valley Bulldogs. 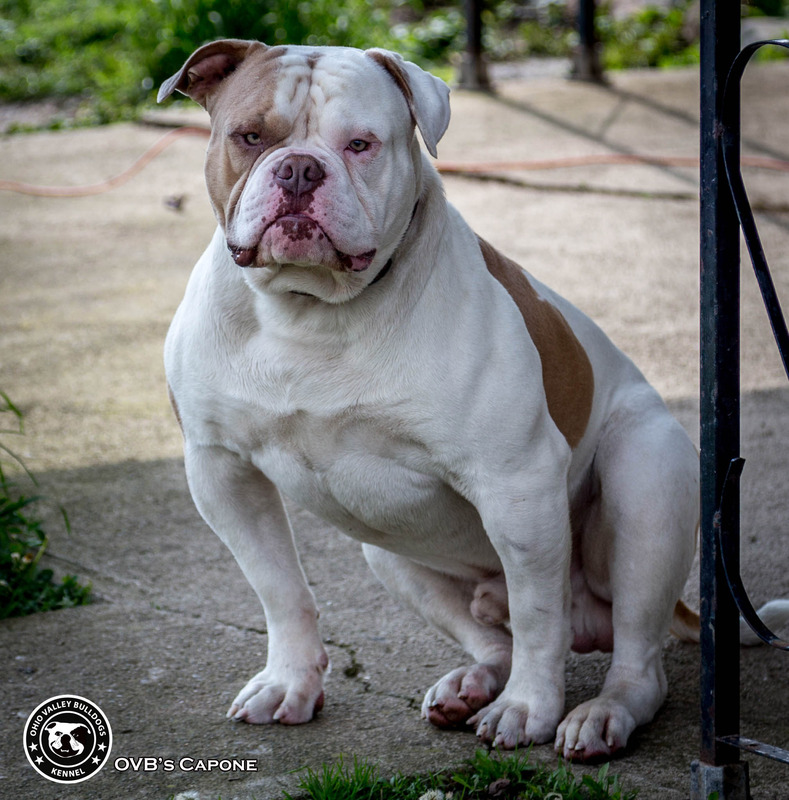 He is our house dog.